The city officials are breaking ground, Wednesday, to celebrate a multi-million dollar improvement project for the marina and the Seminole Boat launch. 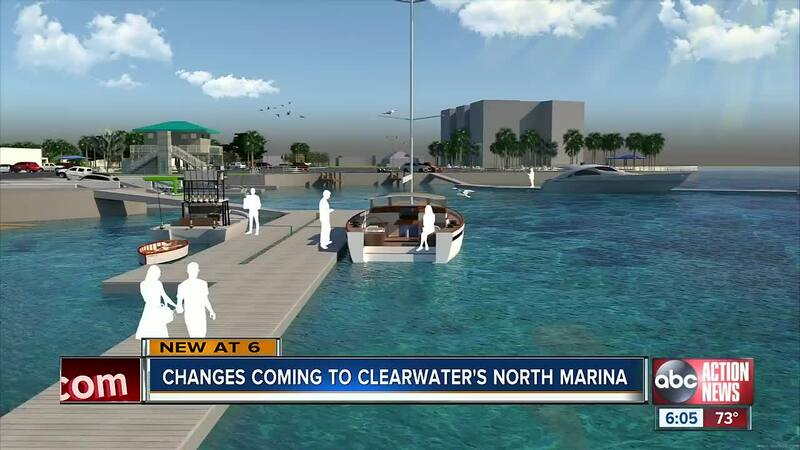 CLEARWATER, Fla. — In just nine months, Clearwater's North Marina area will look a lot different. City officials are breaking ground on Wednesday and celebrating a multi-million dollar improvement project for the marina and the Seminole Boat launch. This is the first phase in the city's downtown Clearwater improvement project. This phase should be complete in nine months. City officials say once it's completed the marina will have a new boat launch, more parking spaces, a new floating dock, restrooms, a new trail through the marina to the waterfront park, and much more. A private developer also plans to build condos and townhomes in the area. The groundbreaking ceremony is scheduled to begin at 2 p.m. Wednesday afternoon at the North Marina Area and it's open to the public.